Inter Milan have not won in the last seven matches, but manager Roberto Mancini has promised a positive attitude from the players when they take to the pitch against Hellas Verona. This match is a great opportunity for Inter to register their first win in the league after a month. Their opposition are struggling with the prospect of relegation with only 11 points separating them from the drop zone. They have been in decent run of form in recent weeks and the 2-0 win over Napoli is a perfect indicator of it. Despite this, Mancini is confident that his players will be able to perform in this difficult away match. Gheorghe Hagiis regarded as one of the greatest modern footballers from Europe. He has been involved in several forms of the game. After being one of the greatest players ever to grace the game, he has also been out of football as a coach and as an owner of a football club. The Romanian was recently speaking about a number of aspects like his coaching career and the best player in the world right now. He recently took charge of Viitorul as the coach. This was his first coaching job since being in charge of Galatasaray back in 2011. During this period, he has been involved in a game as a club owner. Gheorghe Hagiis regarded as one of the greatest players in Romanian football and rightly so. The 49-year-old lifted several titles including two Romanian titles and also reaching the final of the European cup in the 1988/89 season with Steaua Bucharest. Now, he is the manager of FC Viitorul Constanta. The club recently took on FC Botoșani in a league match and they were trailing 2-1 going into the final minutes of the match. Rather than go for an experienced name in the search for an equaliser,Hagi brought his son –Ianis Hagi – into the frame at just 16 years of age. Former Tottenham midfielder Gica Popescu has been sentenced to prison for three years for tax evasion and laundering of money. His former team mate Gheorghe Hagi has said that he would not attend Romania’s international matches in person. He has said that he had no intentions or desires to go and watch the matches of the national team while his former team mate Gica Popescu was behind bars. Gheorghe is a midfielder who was at its best at the world cup of 1994 and also told the local media that the local football authorities had not doing anything much considerable to save and help the former captain of Romania. Not watching the international matches in solidarity is a form of his protest. Some of the Romanian team members along with Gheorghe had gone to pay a visit to Gica. They wanted to express their best wishes and support on his birthday. Gica has been sentenced in prison for a term of three years and a month. As told by a former defender for Romania, Daniel Prodan, he was very happy to see them and know that they were there for him. It was a way of showing and telling him that he has not been forgotten and that they were all there right beside him. Gica had a very flourishing career. He had been named the player of the year in Romania six times. It is believed that soon he was also going to become the president of the domestic football federation. He was among some of the favorites. It has come to the news that Gica along with seven more people were connected to the game that was guilty of damaging the state. It was almost a sum of 1.7m Euros in unpaid taxes and hand in hand several clubs had lost 10m Euros. This was because the officials had registered false sums of money for the transfers of almost 12 players between the time period of 1999 and 2005. 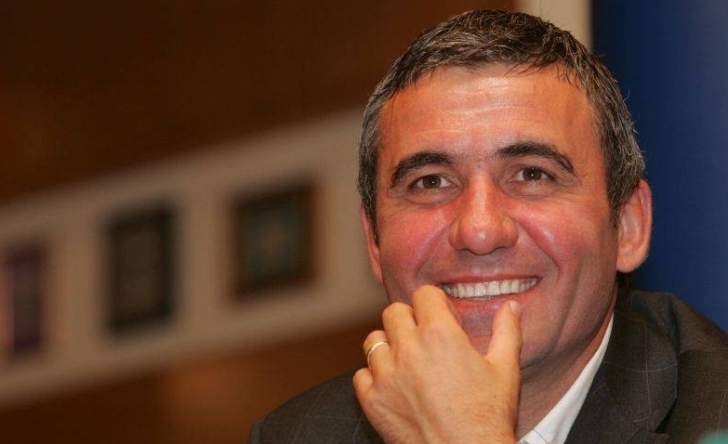 Former coach of the Romanian national team and legend of Romanian football, Gheorghe Hagi says that the nation can certainly hope towards qualifying for the Euro 2016. Romania recently failed to make it into the World Cup 2014 after not doing well in the play-offs. They came extremely close to reaching the finals. The team has been slowly improving in recent years, but they still remain far away from the glory days achieved when Gheorghe Hagi was playing for the team. Now one of the owners of a football club, Hagi is at the top level of Romanian football. He says that the nation can certainly aspire towards reaching the Euro 2016 after UEFA president Michel Platini decided to extend the number of participating teams to 24. As a result, three teams can hope towards qualification from every group. The first two will be automatically qualifying for the competition, while the third placed team will have to go through a play-off. Romania have been grouped along with Greece, Finland, Hungary, Northern Ireland, and Faroe Islands. Amongst them, Greece recently qualified for the World Cup 2014 and there will be a major force in the group stages. Apart from them, Hagi says that Romania and Finland will be the top opponents and he has asked to the national team to make use of this advantage and qualify for the Euro 2016. “We are not skilled at European or world for some time, so we must join together. Available and then we must all unite all means breath national football team to qualify. We’ll have an atmosphere very good that surrounds the national team’s accessible group. Depends on us, we must focus its energy on the national team in the next two years we should qualify. Should believe in our chance, everyone,” said Hagi to Dolce Sport. Romanian football legend Gheorghe Hagi has said that Real Madrid are the favourites to win the quarter-final Champions league match against Galatasaray. Real Madrid were drawn against Galatasaray and they are widely considered as the favourites to progress into the semifinals. The Spanish club have won this competition nine times in their history, while Galatasaray have rarely featured in the quarter-final stage of the competition. The first leg will take place at the Santiago Bernabeu with the return leg at Galatasaray in a week’s time. Gheorghe Hagi is regarded as one of the greatest Romanian players of all time. He represented both Real Madrid and Galatasaray during his illustrious playing days. Even though he has an affiliation with both clubs, he thinks that it will be Real Madrid who will make it into the semifinals of the competition simply because of their superior quality. Galatasaray raised recently signed the likes of Didier Drogba and Wesley Sneijder, but they will struggle against the opposition to boast of the likes of Ronaldo and Karim Benzema. Real Madrid are currently second in the league table several points behind leaders Barcelona. As result, they are putting their entire focus on the Champions league. The club are chasing the elusive 10th European trophy. “Madrid are the favourites, no doubt. They are in a good run of form, are very strong and will fight to win the Champions League. They are hard and a fast team, very strong, but also creative. They are disciplined, organised and have a winning mentality in every minute,” said Gheorghe Hagi ahead of the match. Since the prospect of winning the league title is all but over, Mourinho is expected to rest a number of key players during the weekend. Galatasaray, though, are fighting with Fenerbahce for the Turkish league title. Galatasaray could not manage to take advantage of the presence of a striker like Didier Drogba after they could only manage a draw against Schalke in the last 16 stage of the Champions League. However, the manager Fatih Terim has said that draw was probably a fair result for both teams. Galatasaray recently secured two big names in the form of Didier Drogba and Wesley Sneijder during the January transfer window with the hopes of making it into the latter stages of the European competition. Galatasaray have failed to progress past the last 16 stage in recent seasons. Due to the fact that they had not drawn against a big team like Barcelona and Real Madrid, Terim would have been hoping to progress to the quarter-final stage quite easily. However, the German team provided a strong resistance in the first leg match between the two teams. Schalke now have the upper hand in the tie after they have scored a crucial away goal. Galatasaray opened the scoring through Burak Yilmaz in the first half, but Jermaine Jones goal just before half-time has given the German team an advantage ahead of the second leg match. Terim admitted after the match that his team were unable to capitalise on the good start provided by Yilmaz’s goal. “We went in front with an early goal because of our good play, but we unfortunately made a mistake just before half time that led to Schalke’s equaliser. We had previously had chances to score a second goal, although Schalke also had openings in the second half to go in front themselves. It was an even game,” said the Galatasaray manager after the match. The Turkish club also have the league title in their sights. They currently have a four point advantage over Besiktas having played a game less. Gheorghe Hagi has said that he had decided to join Barcelona in 1994 just because of Johan Cruyff who was the manager of Barcelona at that time. Hagi played for Barcelona between 1994 and 1996. His tenure at Barcelona wasn’t that successful and he was sold by the club only after two years. He featured for Barcelona in only 36 games. But, according to the former Romanian midfielder, he enjoyed his tenure at Barca quite a lot. Hagi left Barcelona in 1996 and joined Galatasaray. He played for Galatasaray for 5 years and then, retired from professional football. His performance for Galatasaray was fantastic. The Romanian midfielder played 132 matches for Galatasaray and scored 59 goals. He was very popular among Galatasaray fans. The Romanian legend Gheorghe Hagi has said that he used to play like Lionel Messi, while his son plays like the French legend Zinedine Zidane. Gheorghe Hagi is regarded as one of the best players in the world and he had a stellar career. Now, he is currently the owner of the Romanian club FC Viitorul Constanta, who are doing extremely well in their first season in top-flight. The club are currently 13th in the Romanian Premier league table. Even though it may be a while before the start winning the league titles, FC Viitorul Constanța owner Gheorghe Hagi reckons that the club can certainly survive in the division. He was recently interviewed by the AFP, who asked questions about his son. Gheorghe Hagi has said that while he was a player similar to Lionel Messi, his son is extremely similar to Zinedine Zidane in terms of the way he plays his game. Zidane Zidane is regarded as one of the best players in the world, and he held the world record for the most expensive transfer for many years before it was eventually broken by Cristiano Ronaldo in 2009. He has also spoken about the recent World Cup qualifying group stages. “He is more combination than me, than it was at his age. Is creative, team game. I was more selfish. It brings into play with Zidane, I’d compare with Messi. Ianis has both foot and stand off and on mentally chapter. Is leading fabric has evil in the game. Yes has to work in terms of strength, the physical. At 15, 16 years I can tell exactly where it’s better to move, or at home or abroad. You will have a surprise … Alibec will be selected. He realized he lost his career during tough. He saw where he Ballotelli of his generation and he knows where he can reach,” said Hagi. The former Romanian international and legend Gheorghe Hagi has said that the Spanish national team is the complete football team in the world. The Spaniards managed to win the Euro 2012, thus making it a hat-trick of international titles. They have now won the Euro 2008 and 2010 FIFA World Cup in addition to the current tournament. They also become the first nation in the world to defend the European championships. This has led to many believe that the Spanish national team is the best in the world. Gheorghe Hagi has said that it is not a surprise to know that it is the case because the Spanish national team is so exciting to watch, but they are also capable of winning football matches the ugly way as well. Spain managed to complete the major trophies in a row after managing the 4-0 win over Italy in the final of the Euro 2012. It is not surprising for Gheorghe Hagi because he has seen the Spanish national team transform itself into the style of Barcelona in recent seasons. As a result, they are now more fearful than before according to the Romanian international, who has recently entered back into football after becoming the owner of a club in Romania. “This national maturity reached extraordinary. Team is complete, the Casillas, line of defense, midfielders and forwards. Has players from Real Madrid and Barcelona, ​​the best bands. There’s no way to resist. coordination, technique, everything found at the national, “said the Romanian international Gheorghe Hagi regarding the Spanish national team. The club of Gheorghe Hagi started its first match with a draw. Speaking after the match, Gheorghe Hagi has said that it was a fair result because both teams came out with an attacking intent. He is hoping to take his club to great levels.